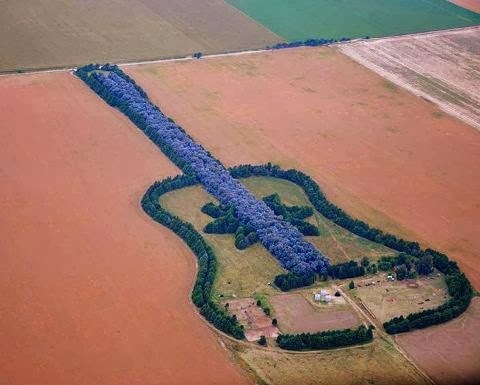 In the ''Pampas'', a fertile agricultural region of Argentina is a Guitar-shaped forest made up of 7,000 Cypress and Eucalyptus trees. It is also visible for passing planes and satellites. It was planted by Pedro Martin Ureta and his children to honour Pedro's wife's lastwishes after she died. Thanks to Pedro and his family for this great effort to combine nature and music in such an unique pattern.